Every two months, we're featuring EIGHT books we're interested in checking out. (We know there are many, many more, but we're just highlighting a few that haven't received their time in the spotlight yet.) Here are the books we've chosen for May and June. There is one copy of each book available to give away and we will choose FOUR winners to each receive TWO books at random. 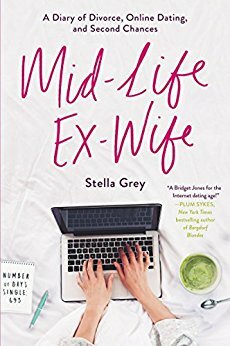 "Nora Ephron meets Bridget Jones's Diary in Guardian columnist Stella Grey’s heartrendingly honest, witty memoir about her online odyssey to find real love in a virtual world." *Thanks to HarperCollins for the giveaway copy. "From the author who brought you Dear Thing comes After the Fall--a poignant, beautifully heartbreaking novel about what it means to be family, the ties that bind us, and the secrets that threaten to tear us apart." "Inside the faded pages of the [Nantucket] Cliff House guest book live the spellbinding stories of its female inhabitants: from Ruby, a bright-eyed newlywed on the eve of World War II to her granddaughter Bess, who returns to the beautiful summer estate." *Thanks to Thomas Dunne for the giveaway copy. *Thanks to Molly D. Campbell for the giveaway copy. "When Flossy Merrill summons her children to the beloved family beach house to celebrate their father’s eightieth birthday, both cherished memories and long-kept secrets come to light in this charming and lyrical novel from the author of The Lake Season and Mystic Summer." 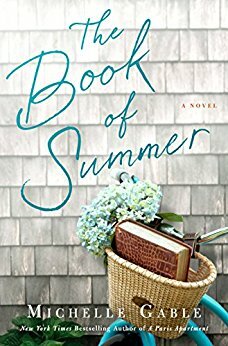 "It's hard to keep up in a crowd where everyone competes for the most perfectly manicured home and latest backyard gadgets..."
"In the tradition of Jodi Picoult and Lisa Genova, this gorgeously written, heartbreaking, yet hopeful debut set during a Maine summer traces the lives of a young family in the aftermath of tragedy." 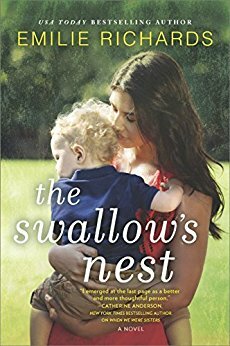 "Three women fight for the chance to raise the child they've all come to love." *Thanks to MIRA for the giveaway copy. Giveaway ends June 7th at midnight EST. A books look wonderful, but The Book of Summer catches my attention first. 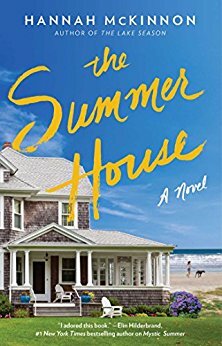 The cover of The Summer House really draws me in. They all look great though! I'm intrigued by City Mouse. Oh my goodness such a great array of books! My fingers are crossed! These all look like very good books. I'm an avid reader and would love to win these! 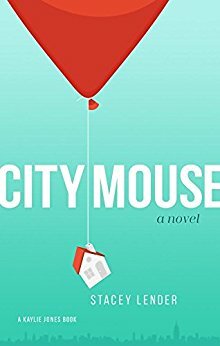 I've read several already and I'm about to start CITY MOUSE.... so exciting for Stacey and the small publishing house, Kaylie Jones Books! I would love to read them all. After The Fall interests me greatly. 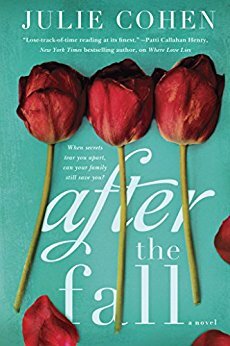 Julie Cohen's After the Fall. I always love her! I am going with After The Fall. I'm most interested in The Book of Summer and The Summer House. My top three are After the Fall, Crossing the Street, and The Salt House. Crossing the Street and After the Fall. Thanks so much! The book which interests me most is The Summer House. I'm really looking forward to reading "The Summer House", but they all sound amazing. THE BOOK OF SUMMER is on my TBR and AFTER THE FALL. Of course, they're all great selections. I can always count on Chick Lit Central to deliver excellent recommendations. You make it very hard to choose by offering such great choices. I would be happy with any of them really. They all sound terrific. Thanks for offering this chance to win them. I'm going to say The Swallow's Nest because it looks like no one else has yet. Great to have Crossing the Street included! Delightful giveaway for summer reading. Thank you. I would love to win. What a great contest! THE SALT HOUSE caught my attention. I'm most interested in Crossing the Street. 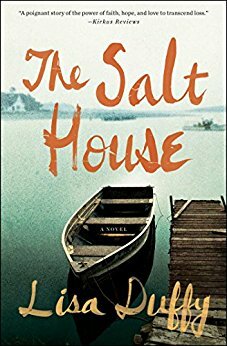 I would love to win any of these books, but especially The Summer House and The Salt House. Thank you for the chance. 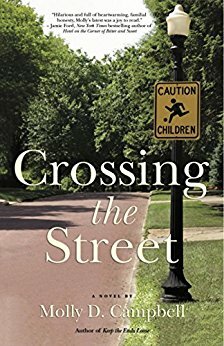 I think Crossing the Street sounds interesting! How can I just choose one they all look good, but the ones standing out the most are After the Fall, Crossing the Street, and The Salt House. They all sound delicious and refreshing! Book of Summer and The Summer House catch my eye! Thanks so much! Mid-Life Ex-Wife and City Mouse both look great. Can't wait to read both. Each book looks like a delicious read. The Salthouse looks like it would be an amazing read! Crossing the Street looks very interesting! I would love to read City Mouse.